Fig. 1: 2005 Excavation Team members at Cultural Center. Fig. 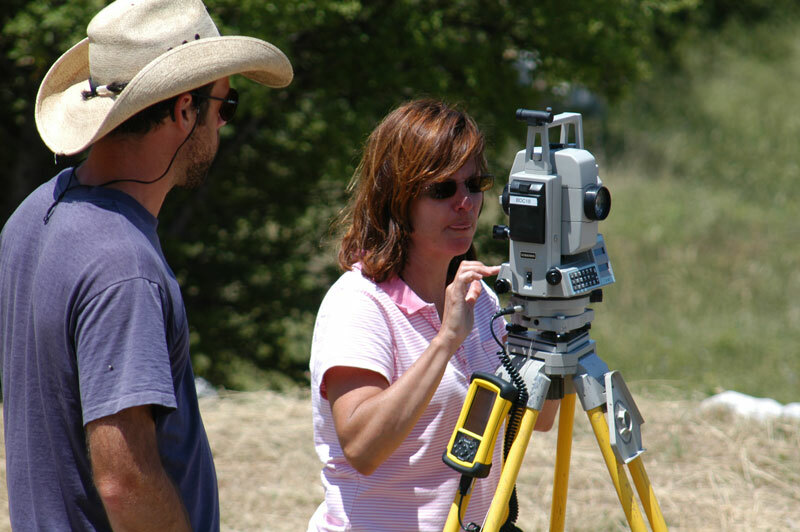 3: Greg Stoehr and Mary Voyatzis running the total station. Fig. 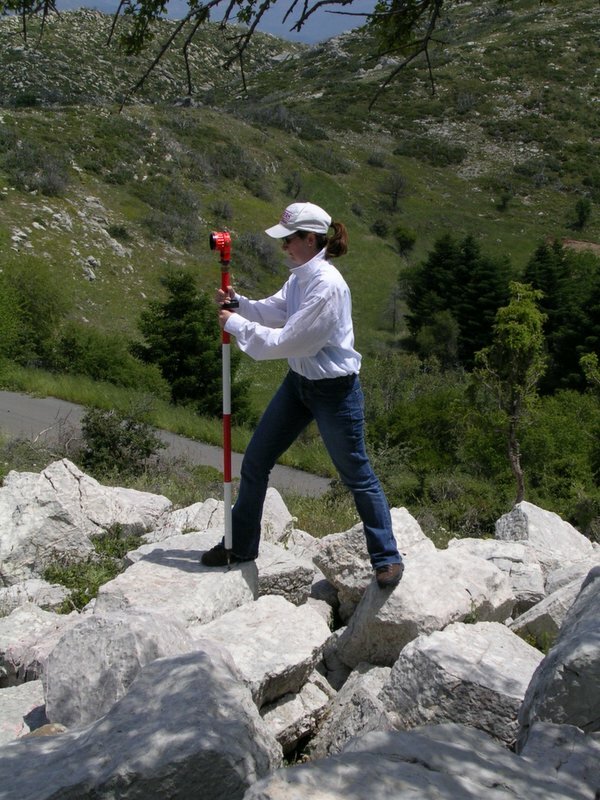 4: Jennifer Gates using survey reflector. Fig. 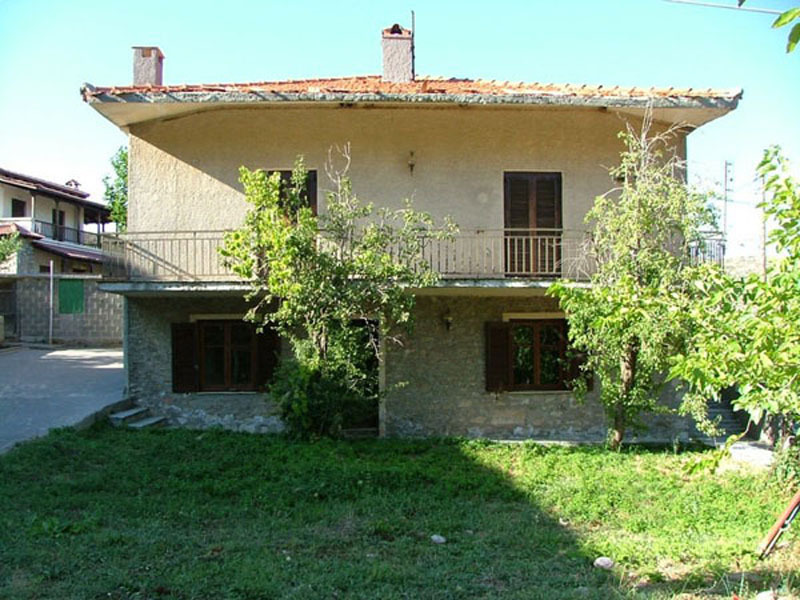 5: Stoa cleared of grass and weeds. Fig. 6: Ximena Valle drawing blocks of the Stoa. Fig. 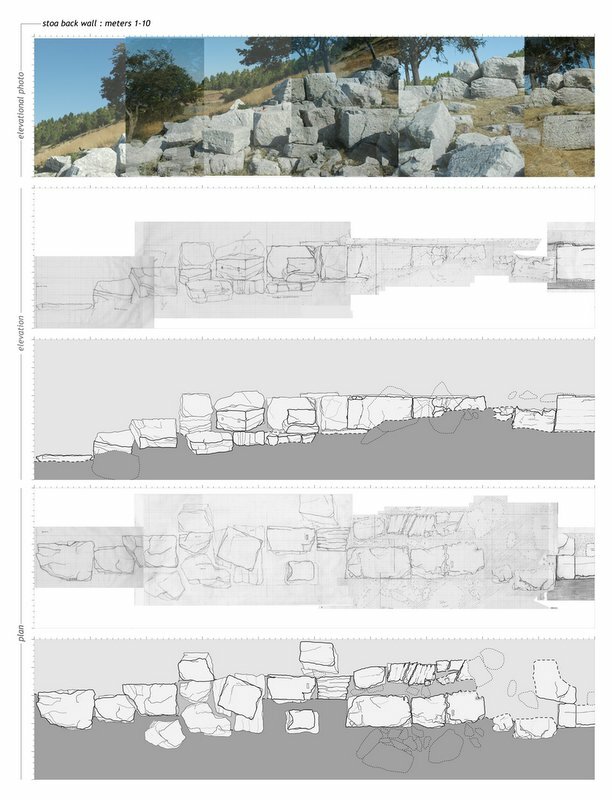 7: Composite illustration featuring back wall of the Stoa, including photography and actual state drawings of existing blocks, section, and elevation drawings. Fig. 8: George Davis recording a dip and a strike. Fig. 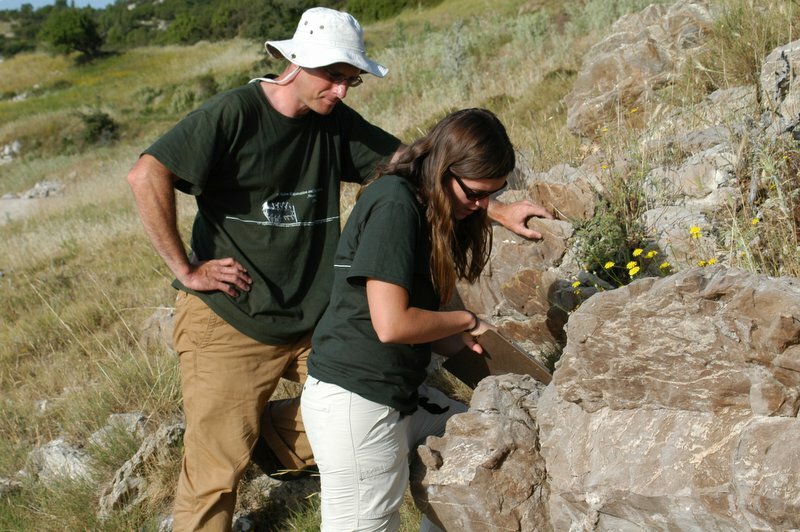 9: Tom Fenn and Susan Mentzer examining a geological feature. Fig. 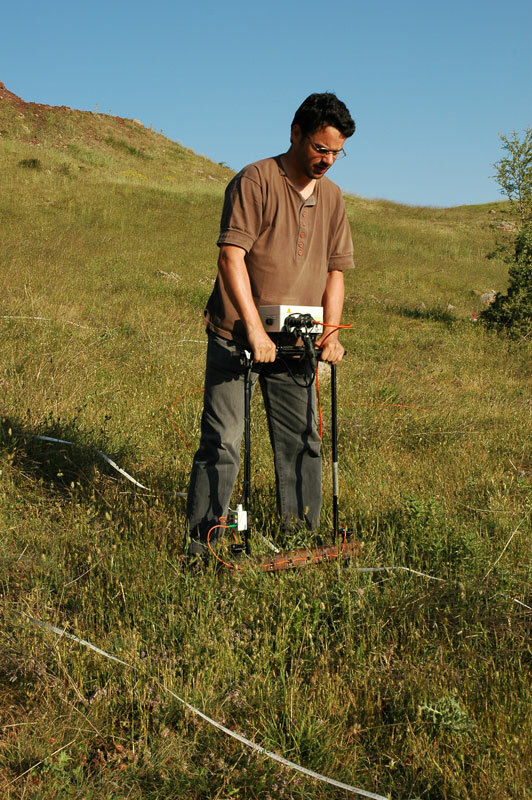 10: Dimitris Alexakis using resistivity probes. Fig. 11: Emanuela De Marco walking with magnetometry sensor. Fig. 12: Apostolos Sarris holding remote sensing seminar. Fig. 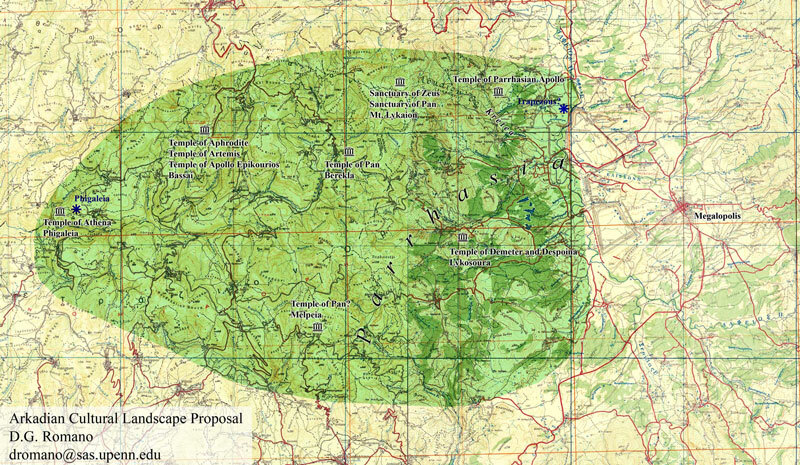 13: Map of Cultural Landscape proposed for Western Arcadia. Fig. 14: Sign at the entrance of Ano Karyes. Fig. 15: Village house in Ano Karyes. Fig. 16: Church of the Birth of the Virgin Mary. Fig. 17: Team visiting ancient city of Messene. Fig. 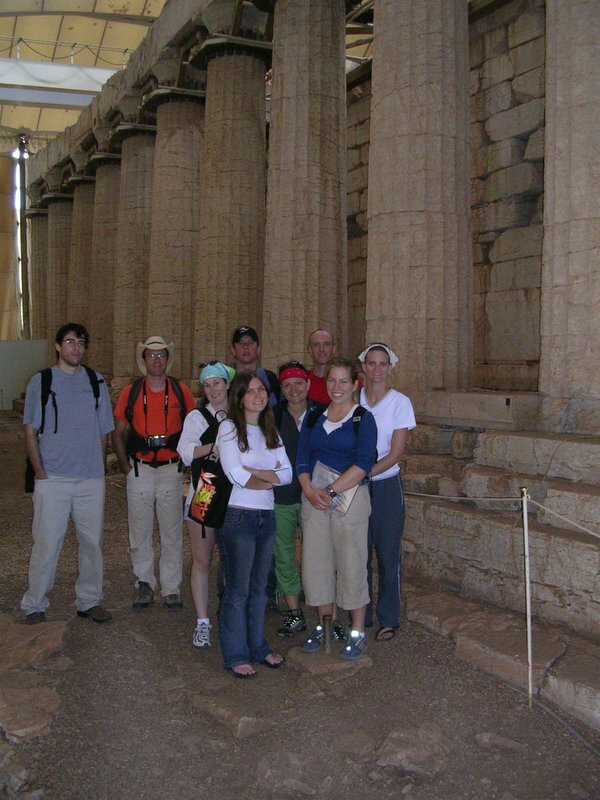 18: Group at Temple of Apollo Bassae. Fig. 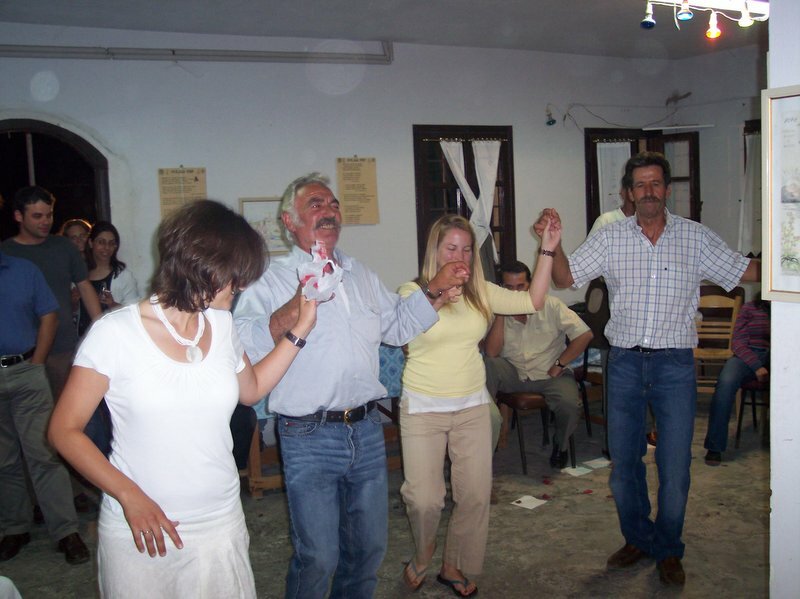 19: Ayios Pneumatikos Gathering. Fig. 20: Dancing Inside the Dining Palace. Fig. 21: Modern Lykaion Games, Yanis Kouros carrying the torch. Our second season of work at the Sanctuary of Zeus at Mt. 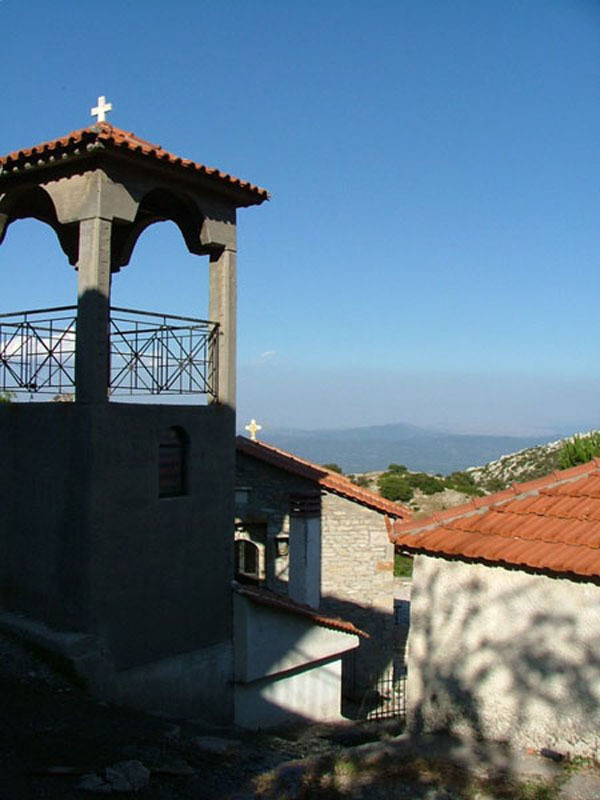 Lykaion began June 8th, 2005 and continued until July 13th, 2005. The directors of the project were Dr. Anastasia Panagiotopoulou, Dr. David Gilman Romano and Dr. Mary E. Voytatzis. 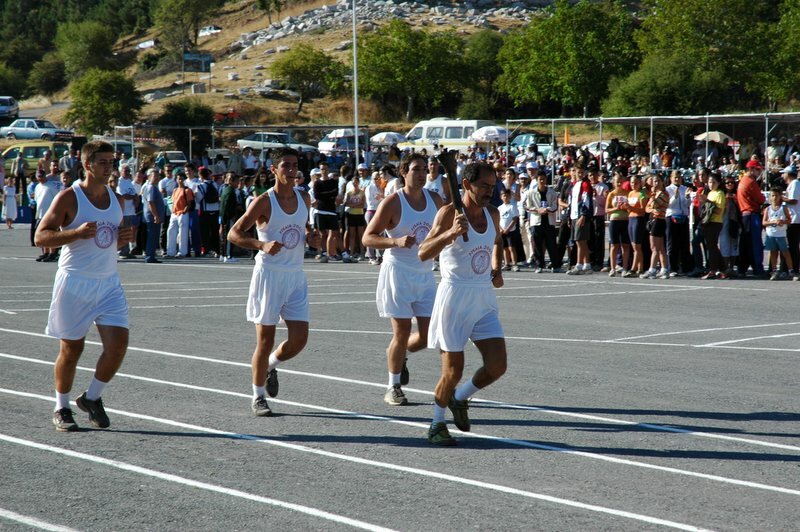 We started our season earlier this year at the request of our host village of Ano Karyes, which needed to prepare for the modern Lykaion games to take place later in July and early August, 2005. The research team once again consisted of participants from the University of Pennsylvania Museum of Archaeology and Anthropology and the University of Arizona, in collaboration with the Fifth Ephorate of Classical and Prehistoric Antiquities. 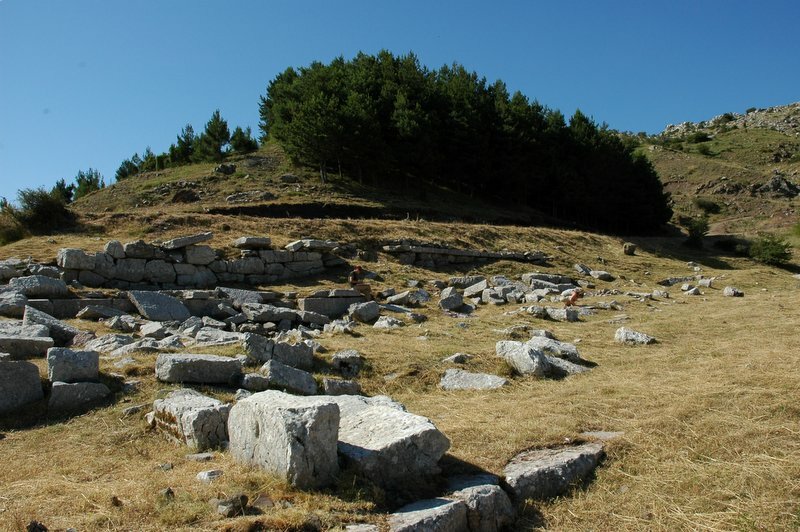 A group of 15 worked under a permit from the Greek Archaeological Service, issued to the Fifth Ephorate and the Syllogos of the village of Ano Karyes (figs. 1 and 2). Further cleaning of the site was completed this year in order to carry out the topographical, architectural and geophysical surveys. The computerized architectural and topographical survey of the area was continued using electronic total station survey and GPS (figs. 3, 4). The goal of this ongoing project is to make a highly accurate actual-state drawing of all of the above ground architectural blocks at the site. Significant progress was made in the architectural documentation project that included the first actual-state hand drawings of the visible blocks of the 67 m long stoa (figs. 5, 6, 7). This project will be continued next summer and will extend to other neighboring monuments and structures. The analysis of the results is ongoing through the fall, winter and spring in Philadelphia. A geological survey of the area around the sanctuary was conducted by Dr. George Davis, Tom Fenn and Susan Mentzer (figs. 8, 9). 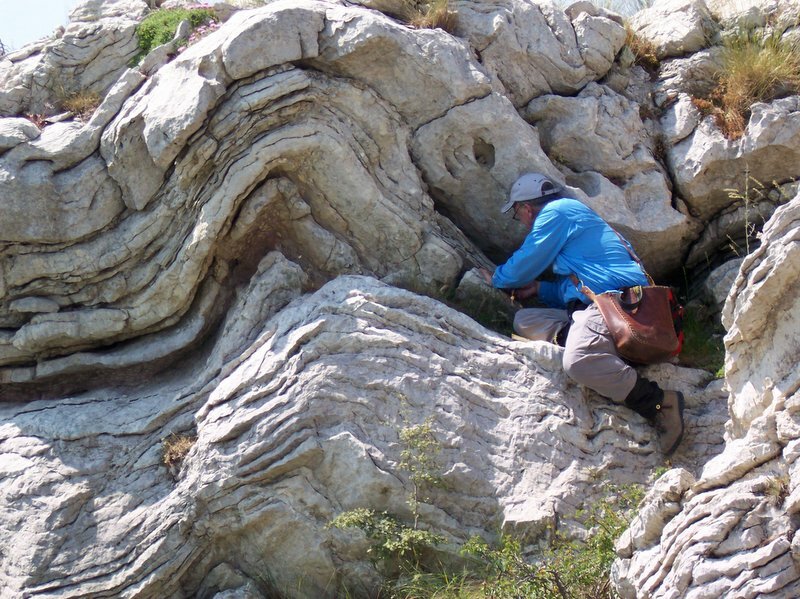 The reconnaissance geological mapping was completed during the 2005 season. A geophysical survey was begun in the 2006 season, by a Greek team from the Foundation of Research and Technology, Rethymnon, Crete. 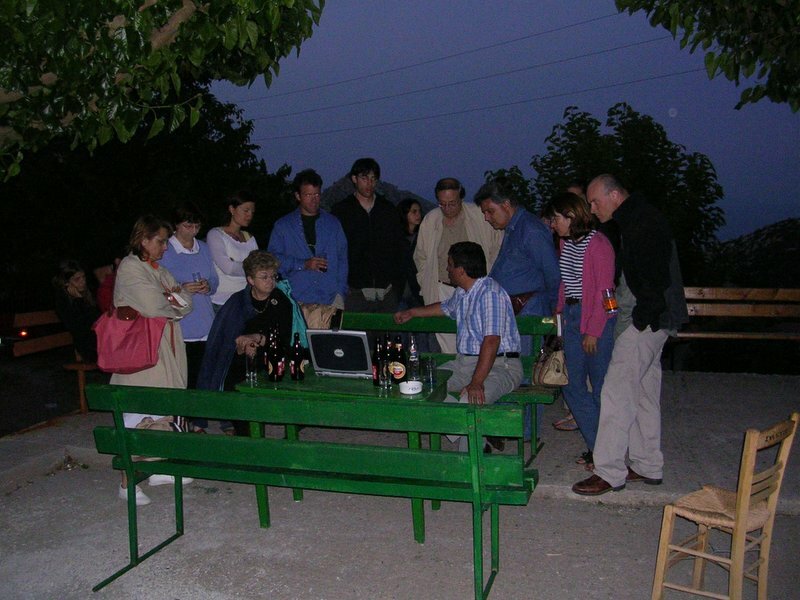 A group of seven people, with Dr. Apostolos Sarris as the leader, surveyed limited aspects of the site including both the lower and upper sanctuaries using the remote sensing techniques of magnetometry and resistivity (figs. 10, 11, 12). 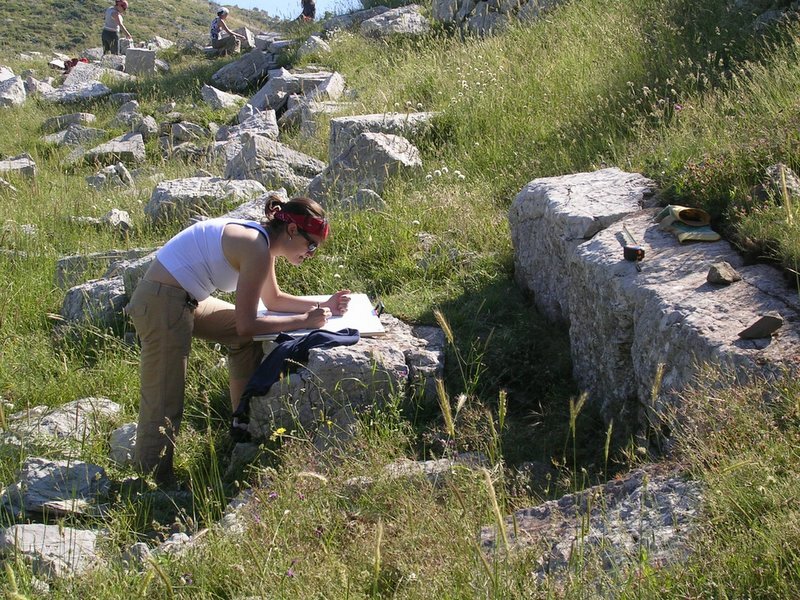 Their results will be instrumental in helping us to select specific locations for excavation in 2006-2008. David Romano presented a talk to a Conference on the subject of the Ancient and Modern Lykaion Games at the War Museum in Athens on June 1, 2005 in which he proposed the creation of an Arkadian cultural landscape, an area of approximately 300 square kilometers, to include the site of the Sanctuary of Zeus at Mt. Lykaion together with a series of other ancient sanctuaries and cities in Western Arcadia (fig. 13). The idea of the proposal would be to protect these ancient sites and create an archaeological and cultural park to unite them, and at the same time to make them available to tourists. 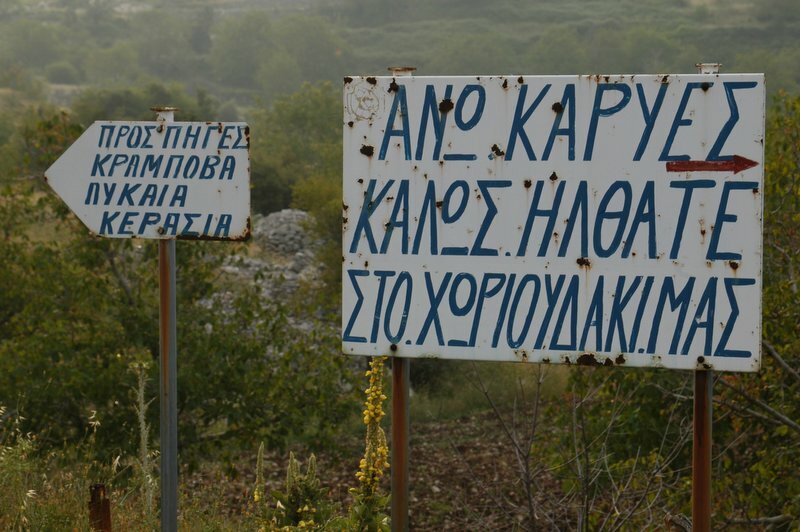 Once again we were warmly welcomed by the village of Ano Karyes (figs. 14, 15, 16). 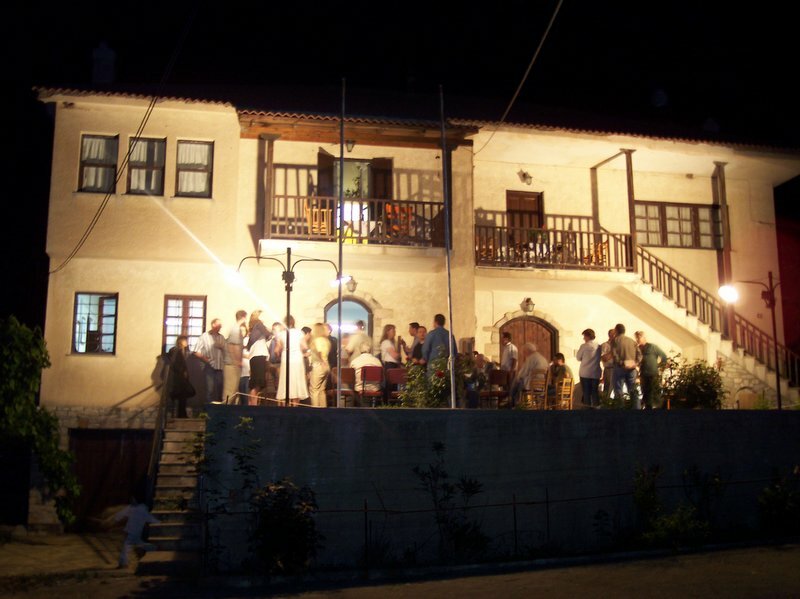 Many of the group stayed in Ano Karyes while some of our team also stayed in the neighboring village of Kastanochori, where a xenona was made available. The syllogos of Ano Karyes took care of arranging for our housing, providing meals for us, and ensuring we had everything we needed to do our work properly. The Syllogos President, Kyriakos Karagiannis, and Vice-President, Christos Koumoundouros, together with many other villagers have continued to be warm and cordial to the team. 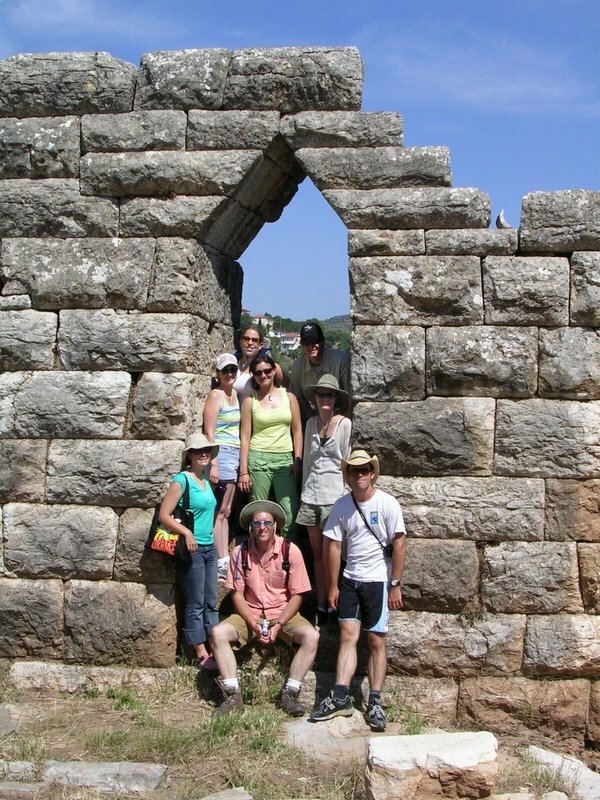 Many of the group was able to visit a number of archaeological sites during the summer including Messene (fig. 17), Bassae, Megalopolis, Olympia, Lykosoura and Trapezounta. A hike was organized one Sunday morning from the base of Mt. Lykaion to the Temple of Apollo at Bassae, a distance of 8.29 miles. The total time of the hike was 2 hours, 24 minutes (fig 18). This year the team was in the village for the holiday of Ayios Pneumatos on June 25th and we were invited to big dinner hosted by the Syllogos of Ano Karyes (figs. 19, 20). After our season was over, David Romano returned to the site on August 7, not as the co-Director of the project, but as a participant in the modern Lykaion games. He ran in the master's dolichos race as the first-ever US entry. The race was won by the world famous ultra-distance runner Yanis Kouros (fig. 21).